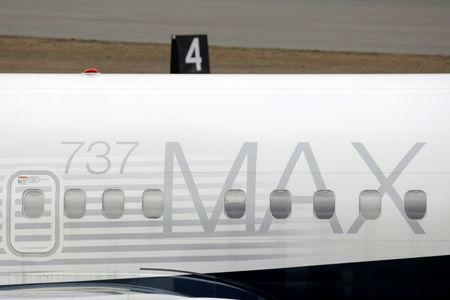 WASHINGTON/SEATTLE (Reuters) - Federal prosecutors and the U.S. Department of Transportation are scrutinizing the development of Boeing Co's 737 MAX jetliners in the wake of two deadly crashes in five months, two people briefed on the matter confirmed late on Monday. The U.S. Justice Department was looking at the Federal Aviation Administration's (FAA) oversight of Boeing, one of the people said. A federal grand jury in Washington, D.C. last week issued at least one subpoena to an entity involved in the plane's development, the source confirmed. Separately, the U.S. Department of Transportation's inspector general was also scrutinizing the FAA's oversight of Boeing and the development of the 737 MAX, according to a person with knowledge of the matter who spoke on condition of anonymity. The Wall Street Journal first reported on the Justice department probe on Sunday and also said the Transportation Department's inspector general was reviewing the issue. A Reuters source said the inspector general was believed to be involved in the matter but it was not clear whether they are assisting the Justice Department or planning to launch a formal investigation.